This June Captain Chris Staudinger and Tawny Clark, Washington State natives will be leaving for the Galapagos Islands off the coast of Ecuador. Their destination is Post Office Bay on the island of Floreana. There, hidden in one of the remaining natural wonders of the world, is a barrel that has been used by sailors for the last 300 years. Originally the Post Office Bay whiskey barrel was used in the 1700’s as a way-point for Navy and whaling ships to store letters addressed to their home countries. A ship would then pick up a package of letters and deliver them to the port of their return. This was the most convenient way for mariners to send and receive letters while spending up to two years at sea during the golden age of exploration. Today, the tradition continues in a land that is renowned for existing outside the touch of time. If a person visits the Galapagos they have the opportunity to place a letter in the barrel where it will wait for an indefinite period of time. If a person finds a letter addressed to their hometown they will take it out and deliver it by hand. Chris and Tawny, award-winning adventure documentary short film makers and solo performers, will be taking a voyage to the Galapagos islands to Post Office Bay. When they arrive they will be collecting letters from a wide array of countries and then filming the story of those letter’s journeys across the globe. Their expedition will be an engaging and insightful look at the history of communication and how it has changed today. It will consider this topic not only from a Western perspective but from the point of view of every country along the way as the circumnavigate the world by ship, train, and bus. The entire journey will be documented and presented on a weekly basis on TripFilms.com and CaptainandClark.com. Chris and Tawny are the creators of Captain and Clark: The Modern Cartographers and have been living and working in South Korea for the last two years. They have spent that time as English teachers and video bloggers, traveling the world and seeking out stories to inspire and educate. Some of their best stories have come from Bahrain, where they we guests of the royal family, or the Philippines where they were seeking out local witches. They have been featured on Matador Tv, The Travel Channel, Lonely Planet Tv, and as award-winning members of TripFilms.com. They will continue to record and share their journeys throughout the world. For more information please find us at http://CaptainandClark.com. The five competing teams in the Best of the Road contest, sponsored by USA TODAY and Rand McNally, have been selected and are eager to take off on a cross-country jaunt aimed at ferreting out the best towns along the way. The teams will take off from New York on June 23 armed with directions to six towns each and suggestions for stops en route at standout barbecue joints, fishing holes, oddball sites and other notable attractions. The towns were selected by popular vote in five categories: most beautiful, most patriotic, friendliest, most fun and best for food. Each team will visit towns in a themed category, but they won’t know which one until they’re about to depart. You can follow their progress on the Best of the Road, where they’ll be blogging about the trip and posting photos and videos of their adventures. After the teams arrive in Los Angeles on July 15, a panel of judges will name a top town in each of the five categories, along with a winning team, which gets a $10,000 prize. Winners will be announced July 22. 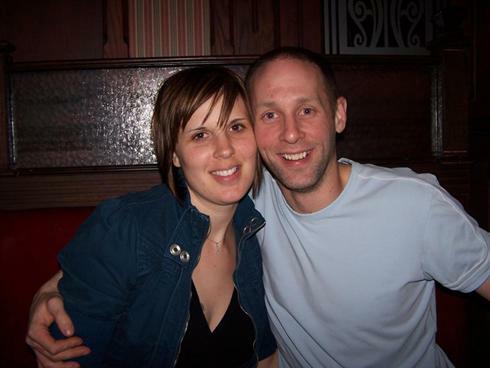 Here’s a snapshot of the teams:Gone with the Wynns: Jason and Nikki Wynn of Dallas traded in their urban lifestyle, bought an RV, and hit the road in February to tour the country for a year. He’s a photographer. She’s a make-up artist. They both love road tripping. Their road-trip philosophy: It’s more about the exploration than the destination. The McNavigators: Daniel and JoAnne Schaub of Cary, N.C., made a major shift in their lives in 2009 when they quit their jobs and hit the road. They returned home in January and are exploring ways to sustain a roving lifestyle. He’s a mechanic. She’s an empowerment coach.Their road-trip philosophy: Since we began traveling in 2009, we feel drawn to a simpler, yet adventurous, way of life outside the hustle and bustle of big cities. Captain and Clark: Christopher Staudinger of Pasco, Wash., and Tawny Clark of Bremerton, Wash., recently returned home after living in South Korea for two years and are eager to get reacquainted with the USA. They consider themselves “modern cartographers,” mapping their travels via video.Their road-trip philosophy: Road tripping is not just the best way to see America. It’s almost like the American pastime. It is the American pastime. Traveling Jules and Traveling Joan: Juliana and Joan Broste of Denver are both well-traveled. They’ve been to Asia, Africa, Europe. Just never together. Now the mother-daughter team is looking forward to spending time on the road in tandem. Joan is a retired teacher. Juliana is a freelance video journalist and snowboard instructor.Road-trip philosophy: (We’re) so excited to hit the road together for the first time. (We) share a passion for travel. 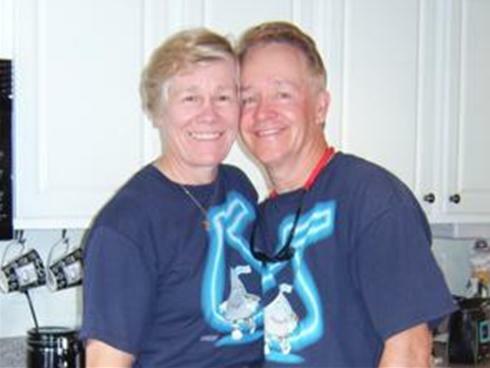 Fun Finders: Jim and Bonnie Parr of St. Petersburg, Fla., met in 1995 and upon retiring took a 10,500-mile, 45-day road trip through 39 states. He’s a retired mechanic. She’s a retired teacher. They’re both volunteer clowns. Road-trip philosophy: We love shopping for bargains (which they donate to homeless charities), sightseeing and seeking out interesting and fun places. We make the most of our time on the road and have fun every minute of it. SPOKANE, Wash. — A Spokane native is putting finishing touches on a trip that will take him around the world. Chris Staudinger knows where the trip will start—the Galapagos Islands– but has no idea where it will take him. About 350 years ago a whisky barrel was set up to serve as a make shift post office in the Galapagos Islands. Sailors would pass by to pick up supplies and they would drop off letters addressed to home in the barrel. Another sailor who was headed that way would pick it up and then take it with them to deliver it. Today the barrel is still there with thousands of letters in it and that’s where Staudinger comes into play. Staudinger and his girlfriend, Tawny Clark, are headed to the Galapagos Islands in June. While they are there they will pick up a handful of these letters and then deliver them all by hand. The two say this trip is all about raising awareness about the way the world communicates. “I don’t know what could be more important especially now when communication becomes such a casual thing,” said Staudinger. “I think the other half of it is not just being able to travel, but being able to actually share,” said Clark. 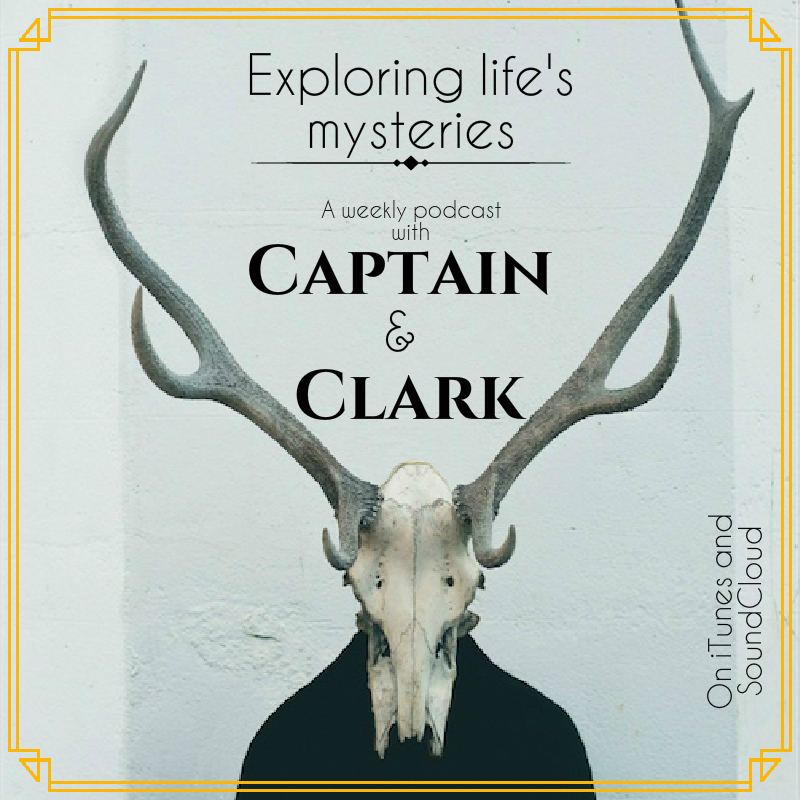 The pair calls each other “Captain and Clark” and you can check out their website here where they will be blogging about their adventures, taking pictures and making videos to document the journey of every single letter they deliver. 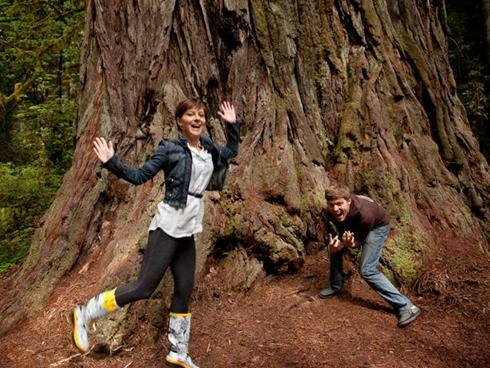 BREMERTON — Tawny Clark will be traveling by sail, road and air with boyfriend Chris Staudinger around the world. The 2004 Olympic High School grad is gearing up for an adventure that will document a form of communication that is dying out. The reason for the trip involves a 300-year-old unofficial post office in the form of a whiskey barrel, located in the Galápagos Islands. Years ago, sailors would place letters to home in the barrel and other ships would deliver any letter headed in their direction to the indicated address. To this day, the tradition continues. Travelers are still able to place letters in the barrel and deliver ones headed in their direction. This is where Clark and Staudinger — “Captain and Clark,” as they like to be called — come into play. The couple will fly to the Galapagos and retrieve a satchel full of letters to distribute to their intended addresses. 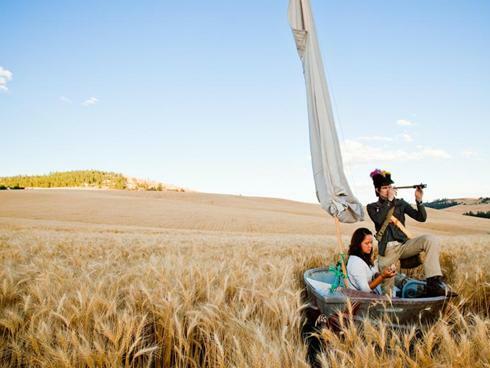 The couple will deliver letters by trains, cars, boats and any other forms of transportation they can manage. Staudinger, a Spokane native, has always dreamed about executing a trip of this magnitude and finally had his dream become a reality. 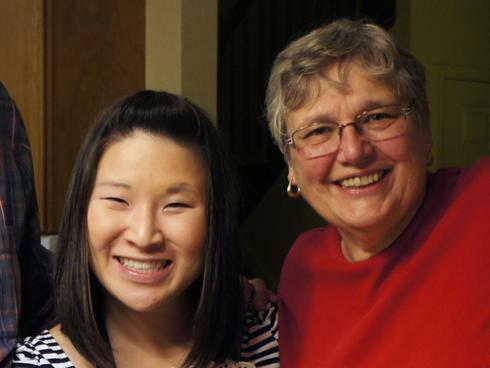 Clark and Staudinger spent the past two years teaching in Korea allowing them to meet a number of people around the globe, many of whom have offered a place to stay should they find themselves in the area. They’ve also taken to the Web for fundraising purposes. Indiegogo.com is a website that allows anyone interested in the adventure to make a donation and become recipients of autographed DVDs, letters from the couple or have your own letter placed in the barrel. The site has already raised $1,661. Fans can also keep up with them through their website, CaptainandClark.com, where they will provide a series of blogs and videos documenting their adventure. Tripfilms.com also is contributing by providing accommodations across the globe to any destination they don’t already have a place to stay. “Hopefully, all goes as planned and we can raise awareness about communication and tell our story at the same time,” Clark said. Understanding and acknowledging the original basis of communication is the theme they plan to focus on throughout their adventure. By stressing the importance of communication through personal letters, Clark hopes to inspire people to delve into this personalized type of communication once more. “We would like to focus on communication and how it is no longer personal,” Clark said. Both explorers will also look to volunteer in the countries they visit and are open to almost any aspect of helping a community. With no set timeline, Clark says, the trip could last anywhere three months or longer. The idea of embarking on a long term journey appeals to Clark, as she would like to possibly write a book, organize seminars or compile their videos into a movie. The main purpose though is to share their belief that personalized communication is possible.